← What had me chuckling in Mass today? I love interesting bits of trivia and my brain is a warehouse full of nearly useless facts. I can’t remember what I had for breakfast, but I know how many vertebra are in a giraffe’s neck. The people who love me have been known to feed this obsession. This year for Christmas my darling daughter gave me a 365 day calendar filled with odd and amusing tidbits. For example, do you know what force causes one’s body to be thrown when accidentally electrocuted? It is the body’s own muscles. Apparently, the electrical impulse causes all muscles to contract violently. “You saw someone electrocuted?” In nearly 23 years of marriage, how had this never come up in conversation? “That is terrible! Did it kill him?” A logical assumption on my part. After all, the European voltage is 220 which packs quite a wallop. By the way, in case you were wondering, a giraffe has 7 neck vertebra, the same as a human. 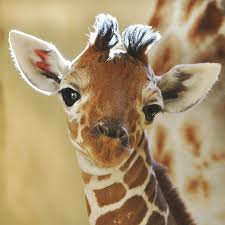 ….and thanks for the info on the giraffe….I was wondering after you mentioned it first. 🙂 Yes, I have an inquiring mind too. LOL!